Today, I joined the afternoon Salem Bicycle Club 25 mile ride. My goal was not to let my heart rate exceed 120 bpm. 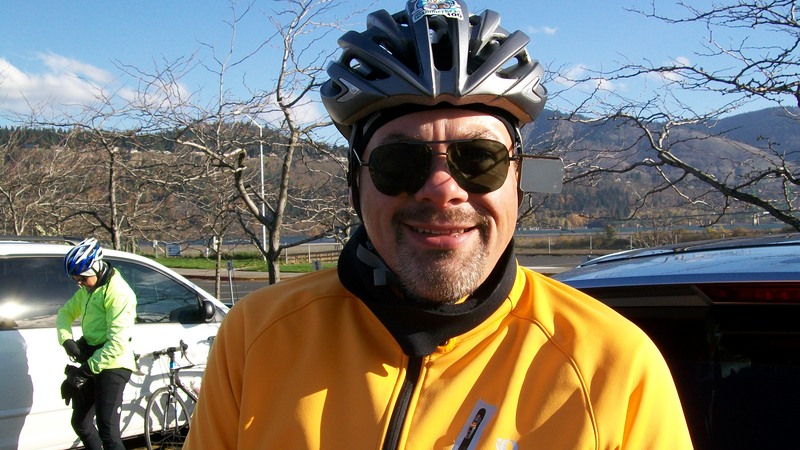 I was mostly successful – that is 92% of the time, but wind and hills do tend to make easy riding difficult. I was hit by a DUII drive last year – on 3/14/2015. I started riding and training again in May of 2015 with the intention of getting into shape to compete in the Race Across Oregon. That was not to be. In late January of this year, I came down with a illness that was never diagnosed, but kept me off of the bike for two months. But I am back on the bike now, and it feels great. I have done four rides in the last week. The first was last Saturday, an 18 mile “let’s see if I still know how to ride a bike” ride. I choose a flat loop and rode my Colnago CT2, a ride I ride just for fun. I did will, but I was surprised just how tired the ride left me. Oh well, my fitness maybe gone, but I love working to get it back. My next ride was the Salem Bicycle Club Wednesday Night Ride that my wife and I lead. Due to the illness and a class I was taking, it was not since December that I have been able to join my friends on this ride. While it does rain in March in Oregon, the sky was nice to me on my first ride back and there was no rain. Again, this is an easy paced ride so I had no issues but again the ride tired me out. I should have taken a rest day on Thursday, but no, I joined the Scott’s Cycling group on Thursday. I did have some sense in that I choose to ride with the slowest group and I had lot’s of fun reconnecting with folks that I have not seen for months. Good times. After three shorter rides, today I choose a flat 34 mile Salem Bicycle Club ride. My goals for this ride were to take it easy – no hard efforts. I am please to report that I was successful. My heart rate never exceeded 80% of max. This ride was nearly twice as long as my previous rides, and yes, I did suffer. But I was on the bike and suffering on the bike is the best kind of suffering there is. Some Rides are Better than Others: I was hit by a DUII Driver. Note: this post was authored over seven weeks after the ride. I was on a long training ride; a loop out of Shaniko. The weather forecast was for some rain, and just as I started the rain began. I stopped and added my rain jacket over my vest to keep dry. The route took me down to Moro using Hwy 97. Traffic was light on this busy highway because I started shortly after dawn. The highway has a wide shoulder and there was not that much debris to avoid. My first stop was at the market in Moro. There I picked up some snacks (M&Ms) and spoke with a local who was impressed that I was on a 143 mile training ride. I now headed toward Condon, a second of highway that is a bit of a bear to ride. You have to descend to the John Day River, and then climb out all of the way to Condon. This is a difficult section of roadway for me. However, I was feeling good and the suffering was minimized. In condon, again I stopped this time for a quick lunch of a deli turkey sandwich. The cafe was filled with locals and I was getting the ‘eye'; the kids were looking at me with what seemed to be desired while the parents were somewhat were just friendly. Leaving Condon, I headed to Fossil. 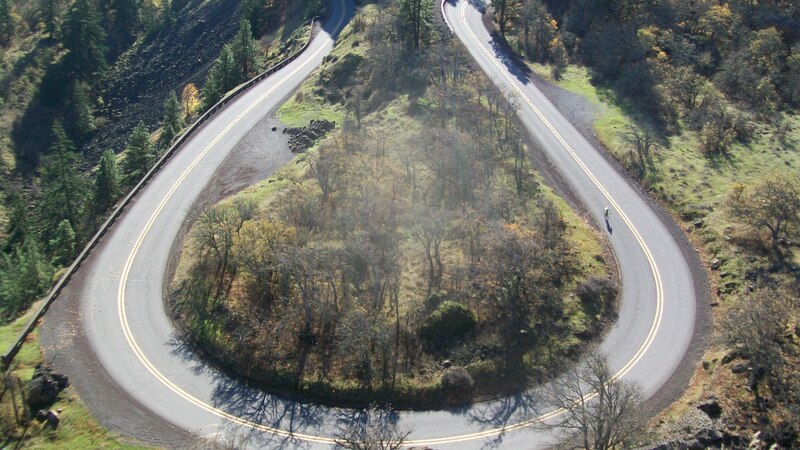 This section of road is not on the Race Across Oregon route, but is a joy to ride none the less. A gentle downhill takes you do Thirtymile Creek and then you climb. Lastly, you descend into Fossil where I rode into town to reach the market. After a few quick calories, I turned toward the west rejoining the Race Across Oregon route. 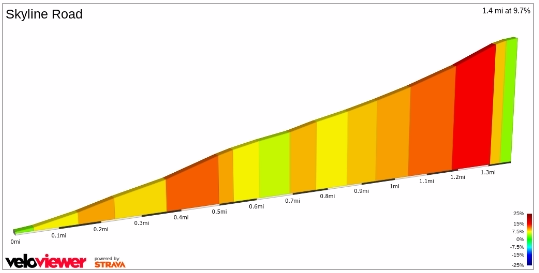 I now had three major hills to climb; Fossil, Clarno and the hill out of Antelope to Shaniko. The first hill is fun to ride and I enjoyed it. But my mind was on the Clarno Grade, and eight mile monster that could really make me suffer. I submitted and headed down toward Clarno and passing over the ‘Useless Hill. I crossed over the John Day River and began the Clarno Grade. Checking my watch, I knew that I would not be at the summit before sunset, but I should reach the summit before twilight ended. I was not worried as I had two blinking rear tail lights on, I was wearing my bright yellow rain jacket and I was riding my Litespeed which is equipped with lots of reflective tape. I felt good. I felt very good. 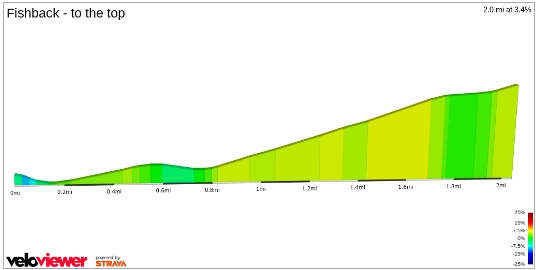 I picked a good pace and was climbing the Clarno Grade well. Near the top, the sun set and I stopped to turn on my two Night Rider headlight so any oncoming traffic would have no problem seeing me. I have done this climb many times and I know it well. I knew I was almost at the summit and I was looking forward to the descent to Antelope. However, the next thing I remember is waking up in the St. Charles Hospital in Bend. There, I was told that a DUII driver hit me and left me along side of the road. I was not found for over an hour and then was light flighted to Bend due to my injuries; five fractures of my lower left leg, four broken ribs and a broken left scapula. 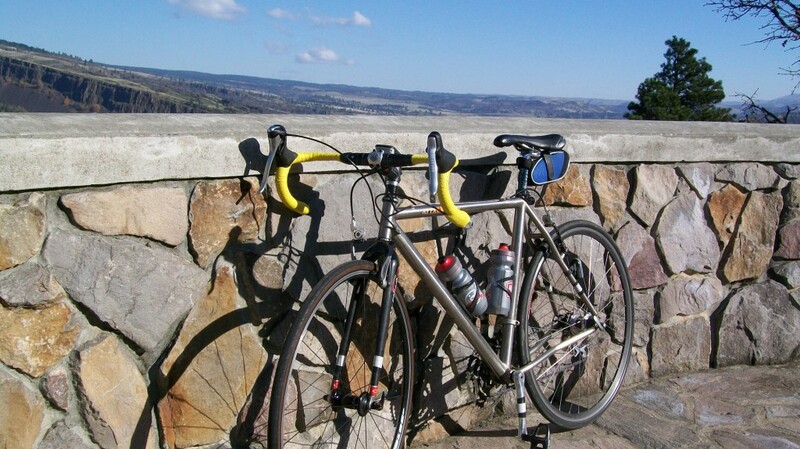 Another longish training ride for Race Across Oregon. I drove down to Grand Ronde and packed my car that the Casino Gas Station. I was ready to ride just as the sun rose. This was going to be a good day to ride! Heading west on US 26, the road was wet from rain the night before. There was enough water on the road to kick up wetness onto my shoes and lower legs, but I was hoping that I would soon see drive roads. And I did. I rode into Pacific City and the shy was almost completely clear. While is was a bit chilly, the beach goers looked to having great fun. I took Hwy 101 south all of the way to Newport and then headed inland toward Toledo and then Siletz. Now, I was a bit inland and enjoying my ride to the north. Once I reached Lincoln City again, I just retraced my route back to Grand Ronde. Even with the last remants of the flu, I went out for a long ride today. My ride plan was to take it easy staying in Zone 2. But I picked up my pace for the last third of the ride and had a great time. After my Gorgeous Gorge ride, I came down with the stomach flu. I have been taking it very easy, getting plenty of rest and sleep. This has caused me to delay my weekly training update. I posted on 11/2/14 my intended training for the upcoming week. On Monday, I took a rest day (except for my lunch walk). My plan was to do a gym workout ion the evening, but that did not happen as I was tired. Tuesday should have been an Indoor Trainer ride, but I had forgotten that Tuesday was the Salem Bicycle Club meeting which I attended. On Wednesday, I did get on the bike for the Wednesday Night Keizer Ride Joanne and I lead. It was a recovery paced ride. Thursday was an indoor training ride, my first with TrainerRoad and it was hard, so hard I stopped early. Of course, Friday is a rest day. Saturday, I headed up into the clouds on an East Salem Hills ride which included two times up Fox Road. Sunday morning Joanne did a moderate ride early in the morning due to a commitment that afternoon. Monday was another TrainerRoad indoor ride and Tuesday was Gorgeous Gorge. The Columbia Gorge is one of the most beautify places I know. So when Chris Hoy decided to lead a Salem Bicycle Club ride along the old historic highway on Veteran’s Day, I jumped at the chance to join him. 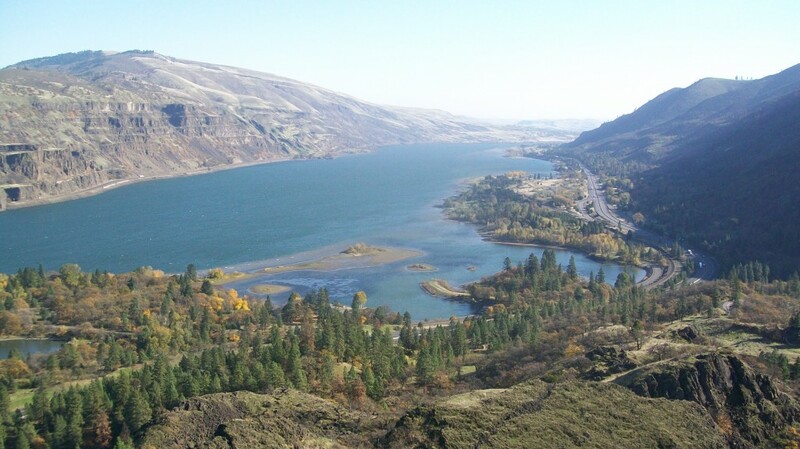 Our Route would have us starting in Hood River and riding to The Dallas for lunch and then back the way we came. We started on the Columbia River in Hood River and climbed up hill on a very steep Old Columbia River Dr. 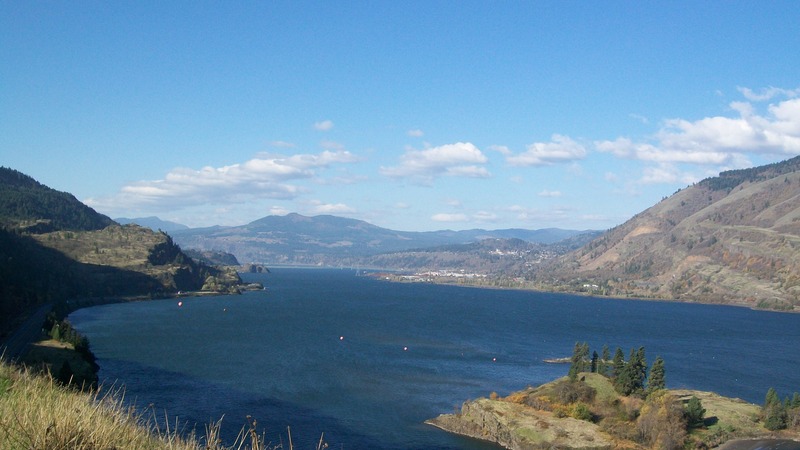 Soon, we were at the entrance to the Historic Columbia River Highway State Trail. Our climbing continued but at a lessor grade. Very soon, we reached a view point overlooking the gorge. As the day of the ride approached, we were concerned about the weather. However, our concerns evaporated and as the sky cleared. It was a bit cold and windy, but we were dressed well and were warm. I took my Litespeed Appalachian out. I love riding this bike. The road was neither flat nor straight. While TrainerRoad has a multitude to workouts that you can choose from, I’m a tweaker. So I had to explore the ability for TrainerRoad to create a custom workout. I used a workout from the December issue of Bicycling magazine from an article entitled “Arctic Blasts”. The workout creation interface ran slowly on my under powered PC, but that just gave me time to think about what to do next. Once I had a few minutes of experience and after a couple of oppies, I got the hand of it and quickly created my workout. Then I rode it. The method you use to determine the intensity of the intervals is by percent of Functional Threshold Power. The workout described in the magazine was based upon perceived exertion. My translation was a bit low and as such, my actual values (yellow) ended up a bit higher than my targeted values (blue). But the beauty of the TrainerRoad tool is that I can edit my custom workout to increase the targeted efforts. I’m going to have some fun with this! Just an easy flat ride – except for the wind and rain. 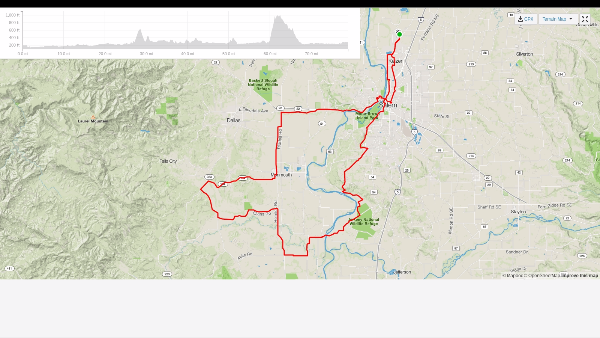 My legs felt tired after yesterday’s hills so I decided to follow my wife around the flats of the Willamette Valley. Just the two of us and we had great fun.